For the first time in almost 90 years, you’ll have access to a centuries-old wealth-building secret that could multiply your wealth 10, 20, even 100 times over in just a few short years! It’s how men like John D. Rockefeller, Andrew Carnegie, Meyer Rothschild – each of them born into a life of poverty – established a dynasty of wealth and power in a single generation. Countless other people of regular means have successfully used it to wipe away decades of debt, fully fund their retirement, and leave a lasting legacy for generations to follow. Like Michael J. Cullen… born in 1884 to Irish immigrants, he used this secret to start the King Kullen Grocery Company… and single handedly revolutionize American life with his invention of the modern-day supermarket. Or Gene Autry… employed as a lowly “radio crooner”... he used it to reach the heights of stardom, build a TV and radio broadcasting empire, become a part owner of a major league baseball team… and in 1982 cashed out with a massive 9-figure fortune. Or Paul and Marie Lamfrom… they fled Nazi Germany in 1937 and came to the U.S. in search of a better life. You probably don’t know this couple by name, but you might know the company they started – Columbia Sportswear – currently worth $4.7 billion! I’m Going to Reveal How You Can Use This Proven Strategy to Build Your Wealth Faster Than You Ever Thought Possible! You’re not going to need to “get lucky” on some shifty get-rich-quick scheme… gamble on speculative penny stocks… learn how to buy and flip real estate… or anything else you might consider “high risk” or “scammy”. All you need to do is follow this proven wealth-building formula and you’ll have the chance to transform your retirement savings… even if you only have a few thousand bucks stashed away… into a multi-million-dollar fortune. Your entire financial future can change in 2019… but only if you’re ready to take advantage of this historic event about to unfold! And in just a moment, I’m going to show you how to properly position yourself to grab your unfair share of this upcoming windfall. I’m a Harvard MBA graduate, Fortune 100 consultant, and new venture investor who – with the help of the research foundation I created – discovered the power of demographics... and how it directly affects what the markets will do next! You’ll rarely hear any economist, academic, or politician talk about this… and that’s because they don’t understand this one simple truth. Spending – NOT government policies – is what drives EVERY economy. I call this phenomenon “the Spending Wave”... and thanks to this breakthrough discovery, I was able to correctly predict the fall of Japan’s economy when I published my very first book, Our Power to Predict, in 1989. Like the roaring 90s bull market and the eventual dot com crash of the early 2000s… the real estate bubble a few years after that… the 2008 financial meltdown… gold’s recent slump along with the dollar’s rally… and oil’s shocking fall in 2016. And while my research shows we’re counting down to Zero Hour... perhaps the worst economic period since the Great Depression... I’ve never been more excited about the future than I am right now. "I found Harry Dent’s work years ago (after having my company 401k decimated twice). I wanted to see if there were any patterns or lessons that could be learned from the last Great Depression – found that and much more through Harry's books. 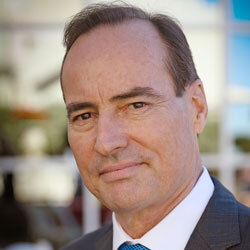 I paid attention to Harry's forecasts and recommendations and by acting on them my wife and I were able to retire at the age off 55." And the future is far easier to predict than the so called “experts” are willing to admit. You see… just about everything moves in well-documented patterns and cycles. 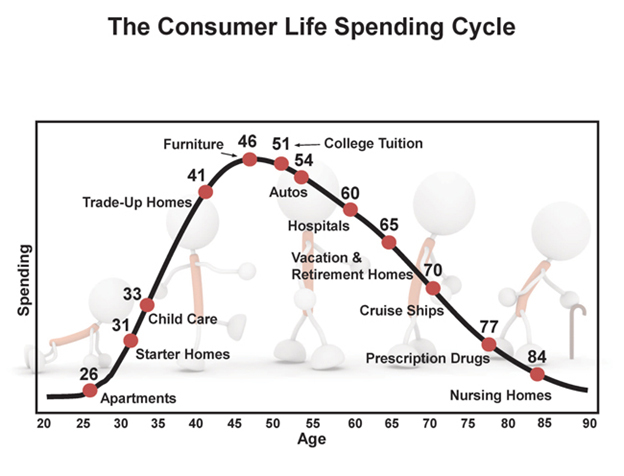 And the key to quickly multiplying your money by 10x, 20x, even 100x in just a few short years is understanding which cycle you’re currently in… and more importantly, where in the cycle you currently are. Once you can do that, you can set yourself up to receive a massive windfall of wealth simply by being in the right place at the right time. It’s why the Great Depression minted more millionaires than any time in history. It’s why the United States became the dominant world superpower after WWII. And it’s Why 2019 Could Be the Year That Makes You Rich! The massive political, social, and economic upheaval that’s likely to unfold in 2019 was practically preordained! I know this might make it look like something terrible is about to happen, but that couldn’t be further from the truth. Yes, we’re most certainly about to enter into some very trying times… but all big opportunities are born from the belly of disruption! 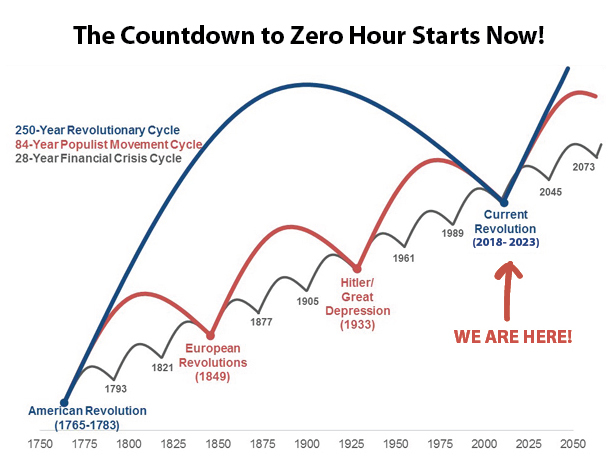 And Zero Hour – an event that only happens once every 250 years – is going to be the single most disruptive event we’ve seen since the American Revolution. And HOW you can grow more wealth than you ever have in your life from them! But when you accept the truth about cycles... you’ll recognize that what’s about to occur shouldn’t be something to fear… but an opportunity for you to radically change your financial future in record time! Zero Hour may be the most important book I’ve ever written. And the effects it could have on your financial future are countless. That’s why I want to make it as easy as possible to get a copy of it in your hands right away. All I ask is you pay a small sum to cover the cost of shipping (only $4.95). And just to make this offer even better, I’d like to give you a few special bonuses you WON’T get if you buy my book from Amazon or any other bookstore. As soon as you request your free hardcover copy of my latest book Zero Hour: Turn the Greatest Political and Financial Upheaval in Modern History to Your Advantage, I’ll send you a digital copy of the first three chapters so you can start preparing yourself immediately for this incredible profit opportunity. You should expect your FREE hardcover copy to arrive at your door within seven to 10 days. Despite that, the reality is, it’s very likely the next big thing! Now, it’s no mystery to anyone who knows my work that I HATE central banks! They’re the epitome of top-down systems. They’ve taken over free-market capitalism and are killing it (just like special interests – and the Russians – are killing democracy). THAT’S the ultimate potential of blockchain technologies and the cryptocurrencies of today! But like every major revolution that’s ever come before it… this will take DECADES to unfold. In this unpublished chapter, I’ll show you how Bitcoin and blockchain fit into this 250-year revolutionary cycle… and the likely timeframes in which we’ll start to see truly transformative companies being built on top of the technology that will undoubtedly change everything. 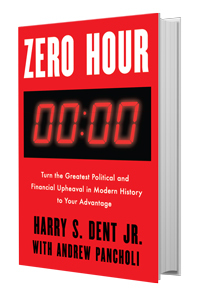 Once you read Zero Hour: Turn the Greatest Political and Financial Upheaval in Modern History to Your Advantage… I’m confident you’ll be a believer in the predictive power of demographics and economic cycles. Cycles allow us to see the “big picture” with uncanny accuracy… but they can’t possibly predict every short-term trend and market fluctuation. That’s where my private investment research letter Boom & Bust comes in. Every single month, my team of analysts and researchers will regularly update you on the coming economic collapse... its impact on the stock markets... different investment sectors... commodities (including gold)... and emerging trends like Bitcoin and blockchain. Over the past five years, we’ve delivered a 14% average return on all of our investment recommendations. When the markets were trading sideways in 2015, our subscribers were cashing in on winners like 87.6% on OHI, 95% on AEC, and 59% on DOW. Year to date, the portfolio is up more than 12%... with five of our open positions currently up by more than 15%... and one of our closed trades posting profits, over 25%! I’d like to give you a risk free, 30-day trial to Boom & Bust so you can see for yourself the quality of research you can expect from the entire Dent Research team. 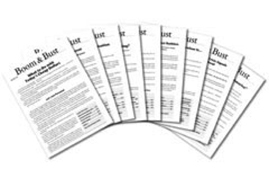 Access to Every Single Issue: Not only will you be able to review the current month’s issue of Boom & Bust… but you’ll have access to every single issue we’ve ever published over the past five years. The weekly 5-Day Forecast: Every Monday, Dent Research’s Chief Investment Strategist, Adam O’Dell, keeps you updated on what’s happening in the markets... and Boom & Bust portfolio manager, Charles Sizemore, keeps track of the model portfolio, ensuring you can make the timely moves you need to. Urgent Member Alerts when events in the market are moving fast and we decide it’s time to close out a trade and take our profits off the table… or add to our portfolio. In short, my team and I will do everything we can to guide you safely through the looming economic crisis... and come out the other side much richer than you are today. For just $4.95 shipping and handling you’ll get your copy of Zero Hour: Turn the Greatest Political and Financial Upheaval in Modern History to Your Advantage, plus 30 days of risk-free unlimited access to Boom & Bust and all of its powerful investment tools. Can You Really Afford Not to Get This? You owe it to yourself and your family to get your FREE copy of Zero Hour: Turn the Greatest Political and Financial Upheaval in Modern History to Your Advantage... so I want to make this as much of a no-brainer as I can. Bonus Chapter: Cryptocurrencies and the Bottom-Up Revolution in Financial Transactions – It’s no surprise we’re seeing a global demand for cryptocurrencies. 30 days of unlimited access to every single issue of Boom & Bust... and all of our active portfolio picks. Our weekly 5-Day Forecast email. Access to the entire Monthly Insight Videos archives. You’ll have unlimited access to some of our very best premium research for a full 30 days… with ZERO risk on your part. When you submit your information, I’ll rush you your copy of Zero Hour: Turn the Greatest Political and Financial Upheaval in Modern History to Your Advantage right away. 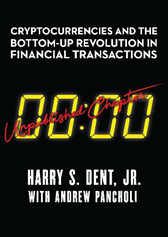 You’ll also get immediate access to the first three chapters of Zero Hour... the unpublished chapter on the “bottom-up” cryptocurrency revolution… and access to the entire Boom & Bust archives. Please don’t delay a minute longer! Zero Hour only happens once every 250 years. The choices you make today could be the difference between potential financial ruin… and a fortune that could last you and your family for generations to come.